Since I’m a columnist for The Rafu, I frequently get invitations to events in the Japanese American community. In the olden days, I would accept almost all of them. In recent years, however, I am a lot more picky as to which ones I would accept, which means if I get ten invites, I might accept two or three. They use this theme because the chefs who prepare the dinner are well-known for their skills in the kitchen. 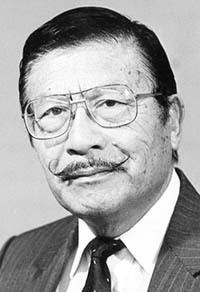 Having attended most of the “Evening of Aloha” events, I am familiar with the dinner served. However, at this gathering, the 12th annual one, I was kind of disappointed in the dinner served, and with the waiters doing a poor job in serving the diners, the quality of the food was more noticeable. Under the circumstances, I decided to leave after finishing my plate. Never did that before either. Oh well, maybe it’s old age. At least I got home a lot sooner than I usually do. Well, if I run into some of the people I know who were in attendance, I’ll ask them for their opinion on my comments about the quality of the dinner served. That is, am I the only one who thought the dinner was only so-so? One thing for sure — I probably won’t receive an invitation next year. Oh yeah, my Air Force son accompanied me to this year’s “Evening of Aloha.” He was impressed by the size of the gathering. Probably about 2,000 guests, judging from the number of tables with each table seating 10 guests. Simple. There aren’t any facilities that can hold that many guests. The largest facility in J-Town is the former New Otani Hotel, now the DoubleTree by Hilton, which doesn’t have a hall large enough to hold 2,000 guests. Yes, in two weeks I’ll finally be heading for Vegas, which means I’ve been absent for almost four months. So, if any of you are planning to get to Vegas in two weeks, I guess I’ll be seeing you there. Yeah, I’m going to be driving. My wife isn’t too comfortable about this and even volunteered to drive for at least one-third of the trip. Needless to say, I’m not too comfortable with her volunteering to drive, but yes, she can handle the wheel pretty well. Heck, a five-hour drive isn’t really that bad since most of the highway is in the desert and at the time of day we leave, the traffic isn’t that bad. According to the Cultural News email, more than 12,000 visitors are expected at the 17th annual Japan America Kite Festival slated to take place at Seal Beach Pier in Seal Beach on Sunday, Oct. 20, from 10 a.m. to 5 p.m. 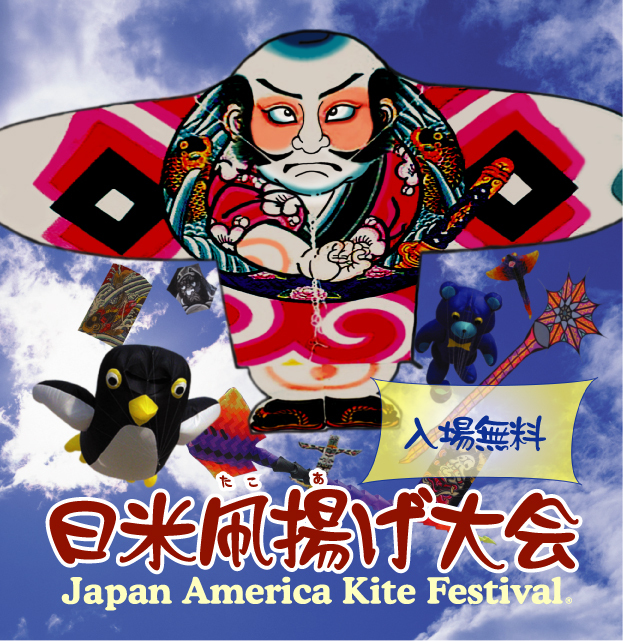 The Japan America Kite Festival is the largest single-day event of its kind in the United States and the largest Japanese-themed kiting event outside of Japan. Japanese kite master Mikio Toki will visit from his hometown in Chiba to fly and display his traditional Edo-dako (Tokyo-style kites) constructed with washi paper and thin bamboo sticks. Toki will also help with the festival’s free children’s kite workshop, in which every child can build and fly a small kite from 10 a.m. to 2 p.m. while supplies last. A kids’ corner with origami, face/hand painting, carp-making, Japanese calligraphy, head bands and other activities will be open from 10 a.m. to 2 p.m. The creator of the newest food sensation, Ramen Burger, will serve 500 Ramen Burgers starting at 11 a.m. Introductory lessons on precision sport kiting will be given by world champion Chieko Tagami. As part of the grand finale, Bon Odori dancing will be held at 4 p.m. An uchiwa (round Japanese fan) will be provided. Those wearing a yukata or happi coat may join in the dance. The program is presented by the Japan American Society of Southern California. Most of us know that Los Angeles is ranked ninth as the world’s most at-risk city. How many of you know which city ranks No. 1 in this category? Did you guess Tokyo? Yes, the Japanese city is the world’s most vulnerable city when it comes to natural disasters, according to the latest report. “When we look at river flood, storm surge, tsunami, wind storm and earthquake combined, the Tokyo/Yokohama region is the most at-risk city in the world,” said a natural hazard expert. There is a potential affected population of 57.1 people who could be impacted by one or more of these natural disasters. The report ranked more than 600 global metropolitan centers inhabited by 1.7 billion of the world’s population. The reports states that for the first time in human history more people live in cities than in rural areas. The only U.S. city to make the “top ten” is Los Angeles, primarily because of the risk of earthquake. The research shows the Los Angeles metro area is highly exposed to earthquakes. Besides Tokyo, three other Japanese cities are rated in the top ten as the world’s most hazardous sites. They are Osaka/Kobe, No. 4, and Nagoya, No. 6. We are always hearing about how Social Security is going to run out of money. How come we never hear about welfare running out of money? There was a time when a lot of folks used to call me, “Hey, Fatso.” and they were not far from wrong. Would you believe back in the late ’40s and early ’50s, I hit the scale at about 230 pounds? How did such a thing happen? Drinking too many soda pops. Of course, when places like Diet King started offering diet soda, I began to get down to around 200 pounds. Well, I still did consume French fries, which kept my weight around the 200-pound mark. Now they are introducing diet fries. Maybe now I can get back down to my high school weight, which was about 170 pounds. They tell me that the new diet French Fries will cost about 20 to 30 cents more than the regular French fries. Diet fries and diet soda. What will they think of next? Maybe the Japanese will come up with diet manju. (Maggie’s comment: Please forgive me for sneaking this in, Mr. Y., but I can’t resist it: Soda-san ga soda o nonde, shinda soda). One Chinese person walks into a bar late one night and sees Steven Spielberg. As he is a great fan of his movies, he rushes over to him and asks for his autograph. “Chinese, Japanese, Taiwanese, you’re all the same,” replies Spielberg. This particular joke won an award for the best joke in a competition in Britain.